Mike LaRocca was one of several gunsmiths who were privileged to apprentice at Pachmayr Gun Works of Los Angeles under the legendary Frank Pachmayr, but the only one accorded the title of "Lead Pistolsmith." In the early '80s, Mike not only built the famed "Pachmayr Combat Specials," but he compiled the "shop manual" for the popular guns in order to maintain the integrity of Frank Pachmayr's legacy. Those highly-prized custom 1911-pattern pistols set the standard for what today are known as "tactical guns" in the same way that for decades the "Pachmayr Signature Series" were the ne plus ultra among Bullseye shooters. 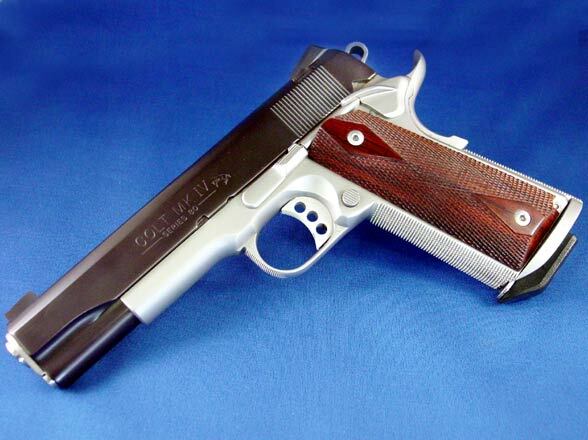 Mike still uses that experience and institutional knowledge to build that style of gun, to customers' individual specifications, at his own LaRocca Gun Works in Worcester, Massachusetts.